Like many Minnesotans, Charlie Poey spent a good chunk of his childhood and adult life at ice rinks. He learned to skate at age 3, played Mite hockey on Minnetonka’s outdoor rinks as a grade-schooler and as a teenager travelled across the Twin Cities for Pee Wee hockey games. In college, he played intramural hockey at University of Wisconsin-Madison and has been playing men’s league hockey and bandy ever since. 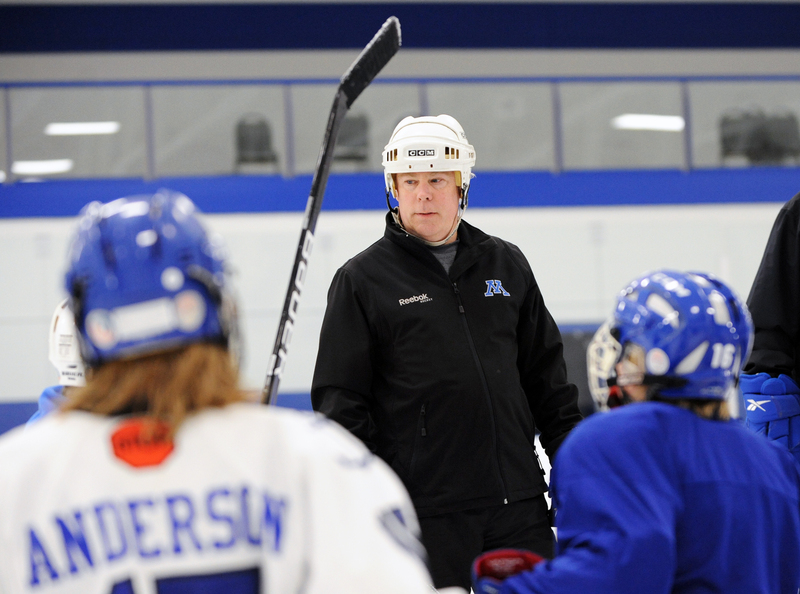 In 2016, while he was sitting outside the Pagel Activity Center in Minnetonka, the father of three stumbled across a “Let’s Play Hockey” article by John Hamre detailing a silent crisis threatening many of Minnesota’s indoor ice rinks. In short, a popular refrigerant used to cool many indoor ice rinks, know as R-22 or freon, was found harmful to the earth’s ozone layer and, based on a 1987 signing of the Montreal Protocol, is being phased out by the United States Environmental Protection Agency. At first, Poey shrugged off the article. However, just like R-22 does to the atmosphere, the information began to gnaw at him. The more Poey researched R-22 and ice rink refrigeration, the more pressing he found the issue to be. The EPA’s plan began in 2010 by banning the production, import and use of R-22, not including for use in existing equipment. The next phase, beginning January 1, 2020, bans the remaining production and import of R-22, forcing existing systems to use recycled or stockpiled sources. In 2030, a ban on remaining production and import takes effect. Although phasing out R-22 is beneficial to the ozone layer, it presents a significant challenge to many of the nearly 1,800 refrigeration-dependent ice rinks in the United States. Switching to alternative refrigerants like ammonia and Honeywell’s Genetron Performax LT (R-4067F) necessitates retrofitting or replacing equipment – a cost that many rinks simply can’t afford. The cost is especially great for rinks with direct refrigeration systems in which R-22 courses through miles of pipe underneath the ice. This method is less common in Minnesota rinks and requires a full infrastructure overhaul. Indirect systems, in which the refrigerant cools a brine that pumps underneath the ice, allow for more options, but still takes more time and resources than many rinks can afford. Pete Carlson is the Ice Arena Operations and Programs Director at the National Sports Center in Blaine, which houses eight indirect sheets. Carlson said the NSC has been aware of the R-22 phase-out for nearly 20 years and is still weighing the pros and cons of each option and searching for the money and time make the switch. While Carlson worries about transitioning the National Sports Center’s rinks, Poey’s thoughts turn toward the smaller communities outside of the Twin Cities. Warroad is nicknamed Hockeytown USA for producing a high volume of notable hockey players including Bill, David and Roger Christian, Cal and Gigi Marvin, T.J. Oshie and Brock Nelson from a population of less than 2,000 people. Ninety miles south of Warroad, rink manager Missy Sletten is working on a five-year plan to transition Thief River Falls’ two R-22 rinks, Huck Olson Arena and Ralph Engelstad Arena, to ammonia systems. Sletten, a city employee since 2002, said the next step is to find ways to fund the new infrastructure. For Thief River Falls, with a population less than 9,000, raising four million dollars without the help of the “Mighty Ducks Bill” will take a citywide effort. Ralph Engelstad Arena in Thief River Falls (left) and Pine City's Civic Center (right). From 2014 to 2016, the Minnesota state government appropriated 13.5 million dollars to the “James Metzen Mighty Ducks Ice Center Development Act” which dispersed the funds to 52 arenas across the state. However, the legislature did not provide funds beyond 2016. Further south, in Pine City, Minnesota, rink manager Danielle Hegge is just beginning to research alternative refrigeration options for the Pine City Civic Center. Hegge said the PCCC is considering using alltemp, a synthetic, environmentally friendly refrigerant, to replace the R-22 in their indirect system. PCCC does not have ice in the summer months, so if construction were necessary, it would likely take place during the rink’s offseason. Pine City Civic Center is home to North Branch youth hockey practices, Pine City Youth Hockey practices and games, Pine City High School practices and games, adult hockey and open skating. Thief River Falls’ rinks host boys and girls high school varsity and junior varsity, youth hockey Bantams through Mini-Mites, a Superior International Junior Hockey League team and several tournaments each year. Poey said travelling to out-of-town tournaments, like ones in Thief River Falls, was his favorite part of youth hockey and an experience he has enjoyed sharing with his children. Charlie Poey is donating 50 percent of Blue Line Apparel's profits toward helping ice arenas switch to new ice rink cooling systems. Click image to view site. 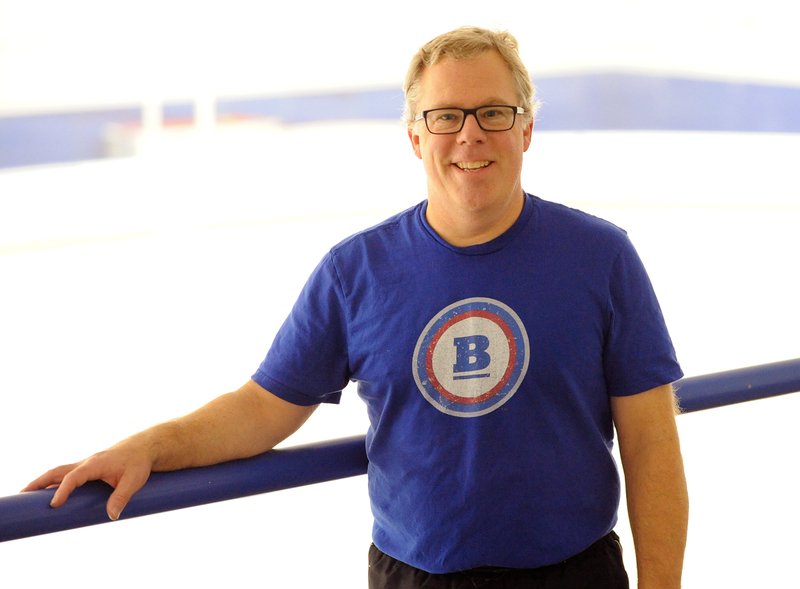 Blue Line Apparel Co. is the product of Poey’s digital production talents and passion to help hockey survive the R-22 issue. Poey sought out longtime friend Pam Glander, Principle Partner at Twins Cities-based design studio Hoots+Clicks, to help build his brand, logo and t-shirt designs. Glander started playing hockey in second grade when organized girl’s hockey was just starting in the 1970's. She played Pee Wee until she was 12, then graduated to Bantams, which including girls and women aged 12 to 75. She played against the University of Minnesota Women’s Club hockey team for one of her Bantam games and played on rinks from Farmington to Chisholm to Roseau. Glander said Poey’s mission presents some unique design challenges and opportunities. The all-female studio is also working to make cross-gender and female-oriented designs to reach a demographic that they feel is under-represented. While Glander developed the apparel designs, Poey, who founded the digital production agency Carbon Six in 2015, used his years of experience to build a website to begin his campaign. Worried your community's arena won't have the funds to change its ice refrigeration system? 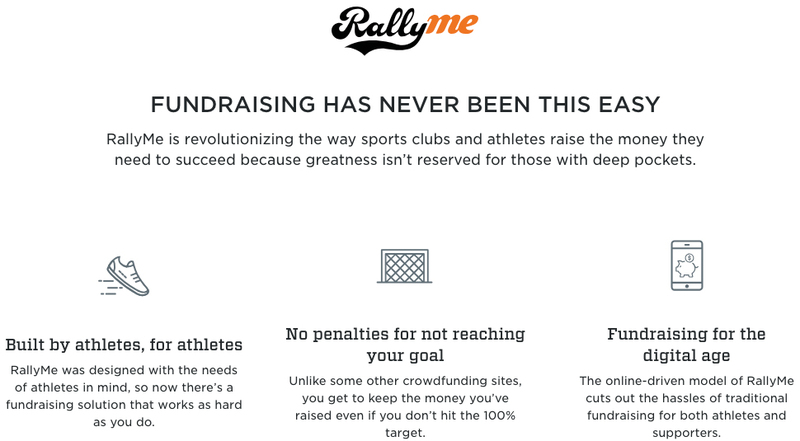 Explore your fundraising options with SportsEngine.